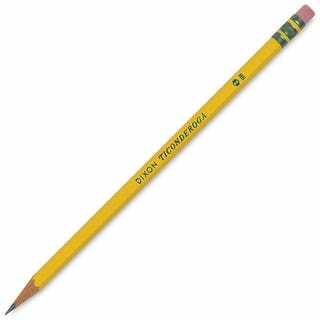 It’s hard to adequately explain the many purposes of a pencil. Got something to say? Use a pencil to write it down! Make a mistake? Use the end with the eraser to undo that mistake, then turn the pencil around again to write correctly! So run out to your local Target, Wal Mart, Staples, Office Max, or any other store and purchase one or many pencils. Get one while they’re cheap, because pencils don’t last forever.